During the festive holiday season there are all kinds of reasons and celebrations that warrant popping open some bubbly. 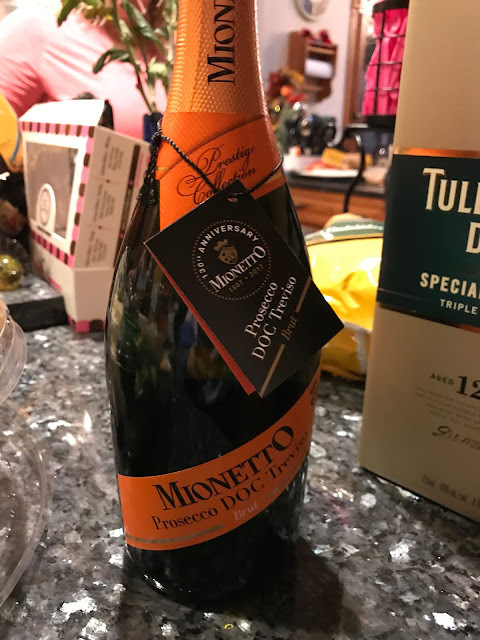 If you're looking for that perfect bottle to enjoy with friends, turn to Mionetto, which is celebrating its 130th anniversary this year. The Italian wine maker is known as the foremost Prosecco producer in the country. Made with grapes harvested from the hillsides of Valdobbiadene in Northern Italy that are then soft pressed and undergo a second fermentation in temperature-controlled stainless steel, this labor of love is worth every drop. This extra dry luxury sparkling wine will wow your guests weather it's for a casual gathering or served up with a full meal, featuring impressions of pear, green apple and wildflowers. It's refreshing and invigorating and will leave you wanting just a few more sips. It will also score you points for sure if a special someone finds it under the tree with their name on it. Find out more about Mionetto's products at usa.mionetto.com. ***I was provided with a sample for review. I was not compensated for this post. All opinions are my own.